Tri clover flanges is use for connecting two pipes in food & drug plant. Tri clover flanges gasket is available in food grade silicon, food grade Viton, food grade EPDM & etc., even we can supply as per sizes. 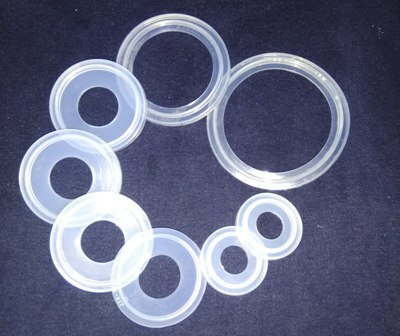 Silicone Tri-Clover Gaskets are available with collar for better grip and also without collar.